Your field service engineers are constantly on the road. They continually move from one job site to another, relying solely on company vehicles to get there. The more customers your engineers can serve, the greater your profits. In order to maximize company productivity, and thus profit, it’s crucial to optimize employee and vehicle schedules. Learn the art of scheduling and assignments. Scheduling is a mastered art that directly impacts your employee and vehicle productivity. Your ultimate goal should be to maximize your engineers' labor hours and minimize the time and distance your vehicles spend outside of revenue-generating jobs. Employee scheduling not only helps ensure that you always have someone available to service your customers but that you are doing so in the most efficient way possible. 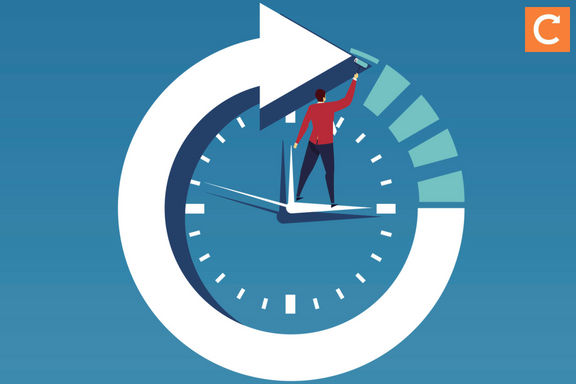 With employee scheduling, you can optimize where and when engineers serve customers to reduce non-revenue generating periods—the time employees spend traveling or waiting between jobs. A job management tool can be a major asset in your toolbox to optimize your employees’ schedules and productivity. This allows you to see appointments scheduled for the day, week and month on a digital calendar and easily adjust which engineer is assigned to each. Equally important to engineer scheduling is vehicle scheduling and assignments. Recall that the time vehicles spend sitting in the parking lot or maintenance shop equates to lost profit. Vehicle appointments and scheduling should be as efficient as possible to reduce the time drivers spend driving to a dispatch location, picking up and dropping off vehicle keys and switching vehicles. This reduces driver confusion and leads to more time for driving revenue-generating miles and conducting preventative maintenance tasks like vehicle inspections. In addition, properly scheduling assets helps ensure you have specialized vehicles when needed and extra vehicles available during peak times. You can also optimize asset distribution when dealing with different locations. For example, if you see Location A needs more vehicles on a certain day, you can reallocate fleet assets accordingly. When creating vehicle assignment schedules, it’s important to record who was assigned to the vehicle in the past, who is currently assigned to the vehicle and who is assigned in the future. This includes details about the driver as well as trip start and ending dates and times. A detailed vehicle assignment record increases organization and driver accountability, and shows fleet managers who can speak to the health of the assets should there be a problem. You can further optimize the process with enhanced key management. The best solution will vary from one company to another but consider using a shared, wall-mounted peg board, hiring an administrator to be responsible for key distribution, purchasing an automated key box or investing in keyless access for your vehicles. Depending on how company vehicles are managed, they can either lead to higher earnings...or higher expenses. The time vehicles spend sitting in company parking lots is money down the drain. As you schedule employees and assign assets to them, it’s readily apparent whether you have assets that are underutilized. Underutilized vehicles are a drain on your productivity and budget, so it’s important to be intentional about your fleet size. In fact, eliminating one light-duty vehicle can save your company between $5,000 to $8,000 per year. In order to determine if you should reduce your fleet size and by how much, start with measuring vehicle utilization. To calculate vehicle utilization, divide the number of vehicles being used for revenue-generating services during a day by the total number of available vehicles. According to fleet management expert John Dolce, fleets should generally aim for a 90 percent utilization rate. More specifically, new equipment should have a 92 to 98 percent utilization rate while older equipment should have an 80 to 85 percent utilization. Another useful metric is Number at Peak Usage (NPU) where you record the number of vehicles used every hour during business operation hours for one week. If the greatest number of vehicles used in an hour never matches your fleet size, it’s an indication your fleet is too large. Be careful, though, to not reduce your fleet size below NPU because it will likely frustrate drivers if there are not always enough vehicles available. When choosing which vehicles to eliminate from your fleet, a helpful tip is to target vehicles with utilization rates in the bottom 50 percent, minor criticality and special utilization circumstances. Invest in your fleet's success. Your employees and vehicles are constantly on the go. Trying to keep up with all these moving pieces can make your head spin! A helpful tool that can work in conjunction with your job management solution is fleet maintenance software, which helps streamline vehicle assignments and maintenance for your fleet. With fleet maintenance software, you can optimize fleet operations and reduce the headache with automated fleet processes and the ability to manage all vehicle related items in one place. Start optimizing employee and vehicle schedules today to increase company productivity and maximize profits. Who doesn’t like greater efficiency and more money? If you want to learn more about Commusoft's field service software, please see our product blog.